We have a hot tub to fit every budget and every need, no matter what experience you desire from your luxury spa! Discover the healing powers of an American Select Spa in your own private backyard paradise. 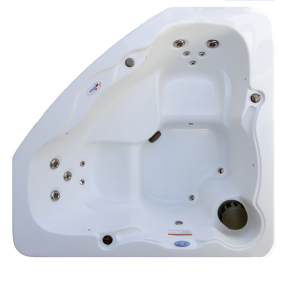 American Select Spas are proudly manufactured in the United States ensuring you get the highest quality & greatest peace of mind when you purchase from us. get the highest quality & greatest peace of mind when you purchase from us. 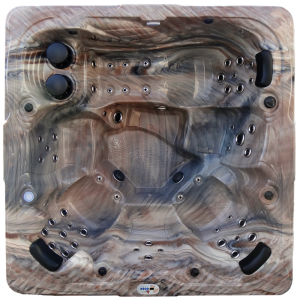 When you order from American Select Spas, you will receive top-quality home spa and hot tub equipment. American Select Spas is already recognized as the Spa Manufacturing Industry’s leader in providing unsurpassed energy efficiency and our exclusive Patent Pending Hydro-Therm Heat Regeneration System makes our great hot tubs even better!! From deeply relaxing to powerfully invigorating, the American Select Spas’ jets offer a full range of massage types. Swirling, pulsing, streaming or penetrating, American Select Spas’ jets work effectively for virtually every therapeutic technique. Digital touchpads give you total spa control – hot tub water circulation, hydrotherapy, aromatherapy, filtration, purification, temperature, and lights! 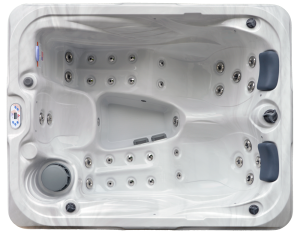 Each model features a clear and legible digital spa control panel, and most panels can be inverted for easy reading whether you’re inside or outside the hot tub.